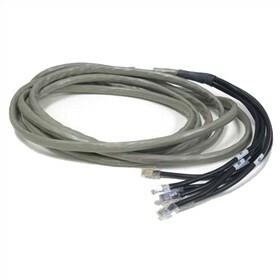 The NEC 808920 is an installation cable for station and CO line cards. It allows fast and easy termination to standard 66 type block and 1 cable is needed for every 24 ports. The NEC 808920 has many exciting features for users of all types. You can extend the lifetime of your NEC 808920 with the purchase of a FactoryOutletStore Factory Protection Plan. The NEC 808920 is sold as a Brand New Unopened Item.